Městský Stadion opened in 1968. It got extensively redeveloped in 2002-3 when three new stands got built. One of the ends has been left open. 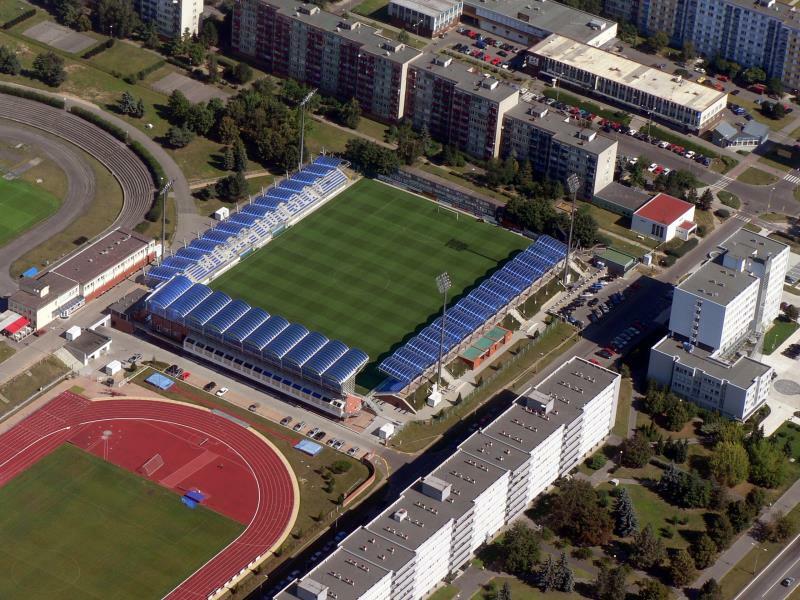 Městský Stadion is located toward the north of the small city of Mladá Boleslav, about a 20-minute walk away from the old town centre. While walking from the old town to the stadium, one passes the large complex of Skoda factories, which includes the Skoda Museum. 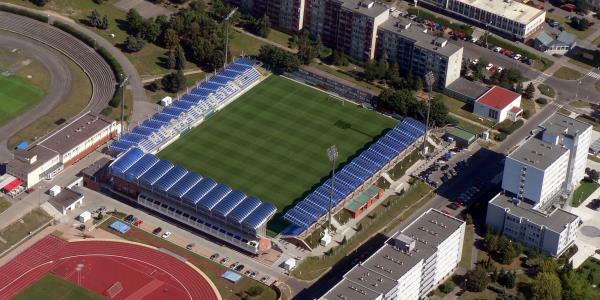 Tickets for Mladá Boleslav matches can be bought at the ticket office at Městský Stadion. Tickets range in price from CZK 80.00 to CZK 140.00 depending on the opponent. Fkmb.cz – Official website of FK Mladá Boleslav.